Share your commitment to NAHCR with your peers and earn valuable rewards. We need your help. Membership involvement on teams is critical to the successful achievement of the strategic plan set by the Board of Directors. As a team member you have the opportunity to work with recruitment professionals nationwide on projects that are critical to advancing the association. NAHCR is recruiting members to serve on its teams: Education, Communications and Membership. To learn more about each of the teams click on the one you are interested in and review the teamcharge. Time Commitment: The teams are currently meeting monthly via conference call for one hour and there is some work completed by team members generally no more than 1-2 additional hours work per month. Some projects or initiatives may be completed entirely virtually while others may need some additional phone calls. · Put your energy and skills to work for the association and the field you love: Make a difference! 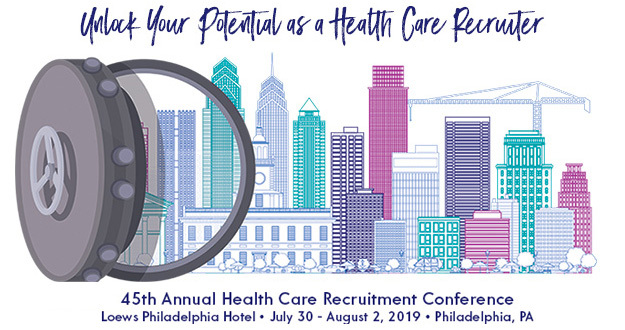 · Learn more about the field of health care recruitment: what’s out there? How does health care recruitment work in other organizations/institutions? Please let Headquarters know what team you would like to join. Tell us a little bit about yourself and your company in your email too. We want to make sure to match your talent and skills up with the association’s needs so that you have a more enjoyable and productive experience as a volunteer. Staff will pass your information along to the chair and board liaison and one of them will be back in touch with you soon. Thank you in advance for willingness to serve the association!